I was standing in line at the craft store buying supplies for all our costumes this year and I saw a ring pop. You know, in that place they put all the candy so you grab it on your way out because you just spent 2.5 hours looking for the right shade of yarn. 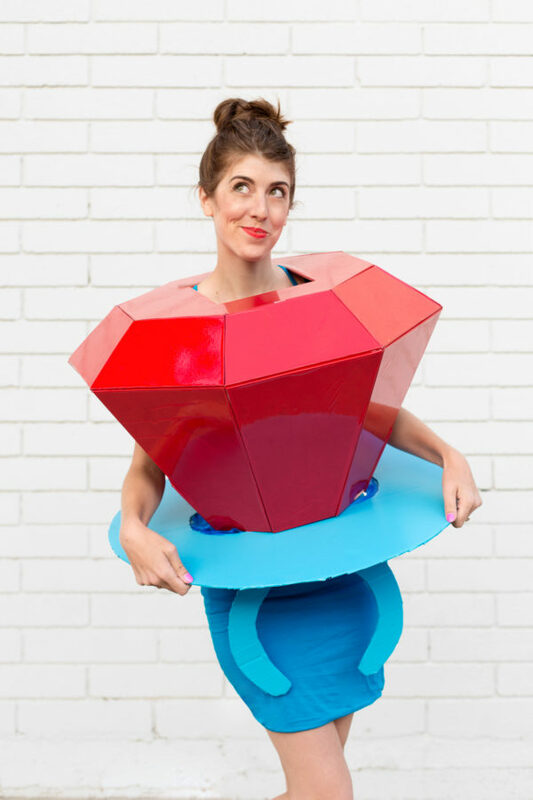 Anyway, I saw it and immediately was like HOW HAVE WE NOT DONE A DIY RING POP COSTUME!?! ?